…developing leadership, communication and critical thinking skills through a dynamic, hands-on curriculum under the guidance of highly-experienced counselors. 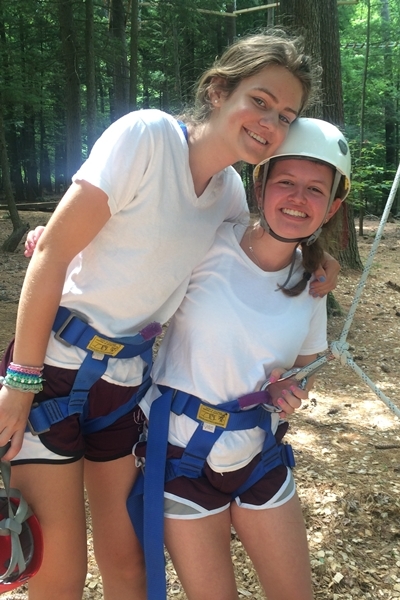 With an emphasis on the development of 21st Century Skills through a stronger understanding of the Fernwood Cove philosophy, our Teen Leadership program provides former Fernwood Cove campers with the knowledge and skills to be successful as they enter adulthood. The Fernwood Cove Leadership Program provides former Fernwood Cove campers with the opportunity to develop real-world leadership skills through a greater understanding of Fernwood Cove values. With a focus on the growth and development of the whole person, Fernwood Cove CITs and Junior Counselors develop a greater sense of self and the person they want to become. Under the supportive guidance of Fernwood Cove directors and staff, Fernwood Cove CITs and Junior Counselors learn about themselves while also learning about the importance of being strong role models for others in the Fernwood Cove community. The Fernwood Cove Teen Leadership Program is a dynamic, hands-on learning experiences for Fernwood Cove alumni who are currently in 10th – 12th grades. The limited enrollment CIT Program contains two sessions of curriculum. The CIT Program provides former campers with the opportunity to participate in a single session or for the full summer. After completing the two sessions of the CIT Program, CITs can apply for the full-summer Junior Counselor Program. Unlike many programs, the Fernwood Cove Teen Leadership Program has an established curriculum providing consistency and continued personal growth for every girl who participates in the program. Fernwood Cove CITs develop a strong foundation in 21st Century Skills like communication, collaboration, and creative problem solving. CITs gain an understanding of leadership, time management, outdoor living skills and youth development through experiential and engaging curriculum activities. CITs further develop these skills through assisting in camper Focus Activities and Trip Days and while leading Evening Programs. In the second stage of the Teen Leadership Program Junior Counselors are fully immersed into helping facilitate the camp day. Junior Counselors live in camper bunks, acting as a full-time member of the bunk family. Additionally, they assist in activity instruction throughout the camp day. Junior Counselors also receive daily mentoring from the Teen Leadership Program Counselors and members of the Summer Administrative Team. Junior Counselors also have additional training and certification opportunities like Lifeguard Certification, Belay Training, and Power-boating Safety.